Something for everyone in Aylmer! 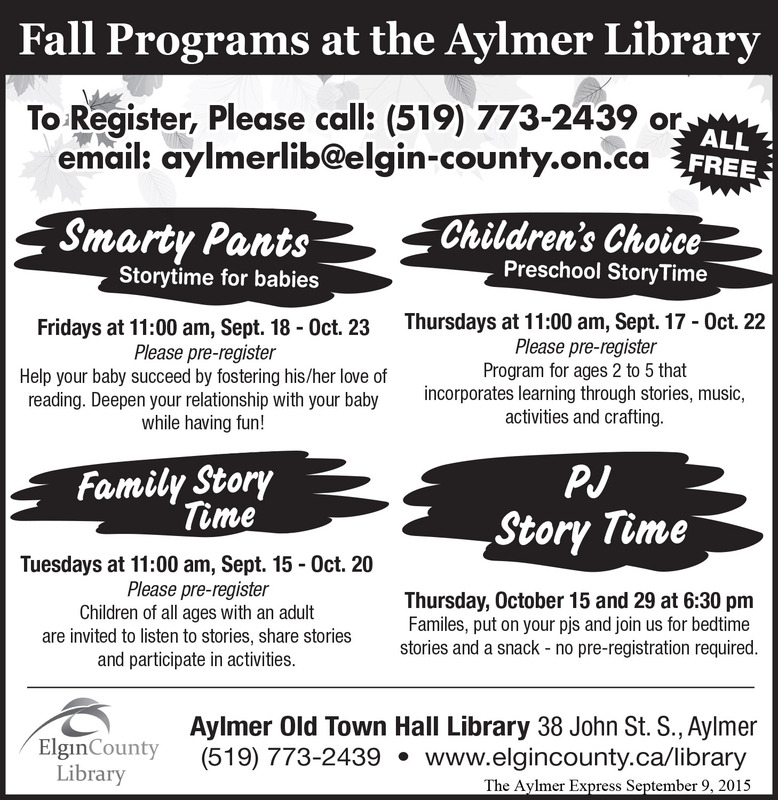 The Elgin County Aylmer Branch Library has just released their Fall Program Schedule. This quaint, cozy Library is one of a kind and a must see for anyone in Elgin County or East Elgin. I love that their programming includes ‘after work’ events so that working families can attend and share memories with their kids. Aylmer is the perfect place to raise a family and the Library’s programming is a good example of the amazing things our organizations and businesses consider when making plans. I hope you will check their programs out, stop in and pick up some books or use one of their free to use computers. It’s a great spot to sit and get away from it all.